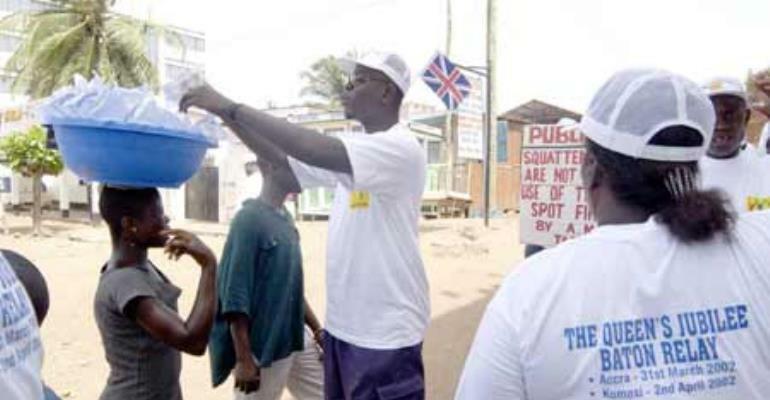 Sachet water production may soon be banned in the Accra Metropolis, Stanley Nii Adjiri Blankson, Chief Executive of the Accra Metropolitan Assembly, (AMA) has threatened. That the decision is prompted by the insanitary conditions and waste management challenges sachet water presents to the AMA, says Mr Blankson. He disclosed this when he interacted with a cross-section of the media at his residence in Accra during the Christmas holidays. Declaring this year as “AMA year of action,” the Metropolitan Chief Executive stressed that bye-laws of the Assembly would be fully effected. He appealed to all residents of the metropolis and the media to co-operate with the Assembly to realize its vision of making Accra a city befitting the status of a capital. Some journalists at the meeting expressed concern about the AMA's inability to collect all its tolls rates and taxes. In their estimation, about 70 per cent of residents do not pay their taxes. They, therefore, urged the AMA to institute mechanisms to bring every resident under its revenue mobilization programme.